Single Door Pesticide and Agrochemical Storage Cabinet with single shelf. 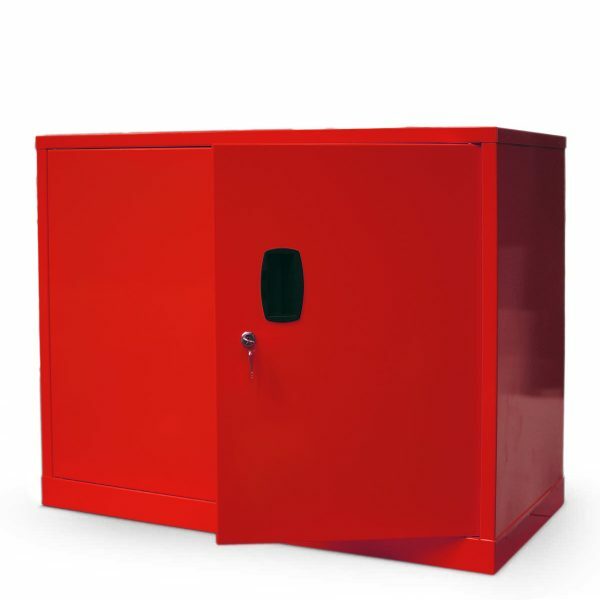 This pesticide cabinet has been designed to improve the overall safety of your working area providing safe and identifiable storage of pesticide and agrochemical substances through restricting access. 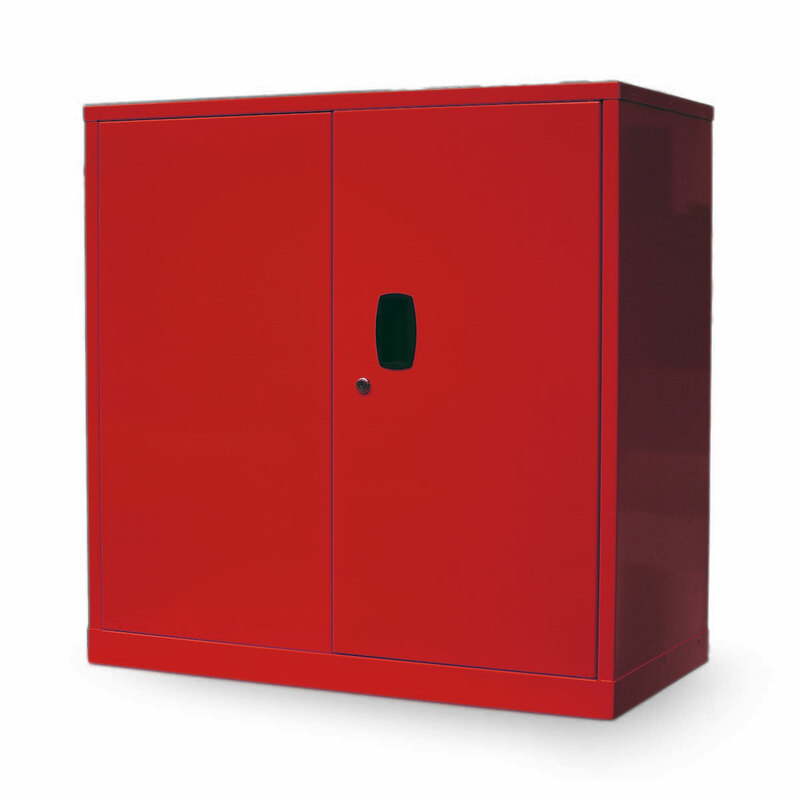 The cabinet allows compliance with the storage of hazardous materials as set out in CoSHH regulations. 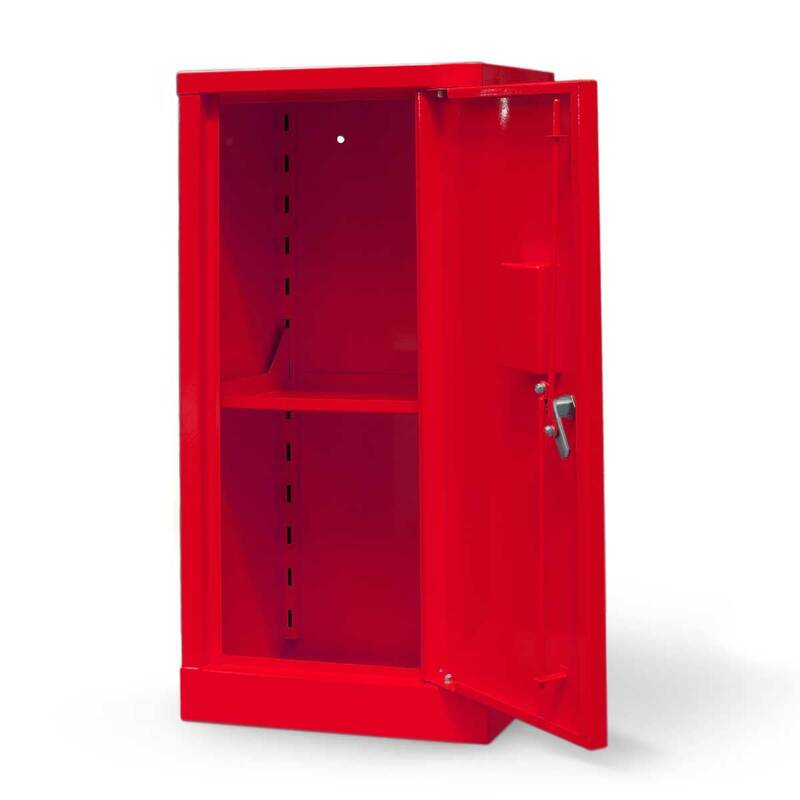 This pesticide cabinet features a fully welded sump, which has been designed to hold the required 110% of the maximum volume of the largest unit stored within the cabinet as set out in CoSHH regulations. 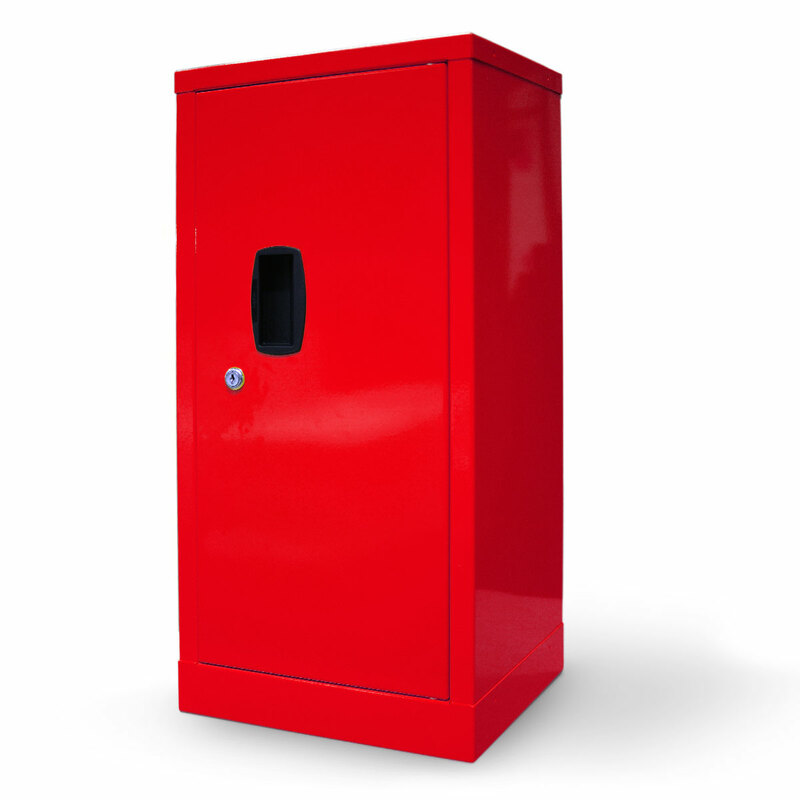 The cabinet is clearly marked with the required regulation labels and coated in a tough epoxy powder red finish. 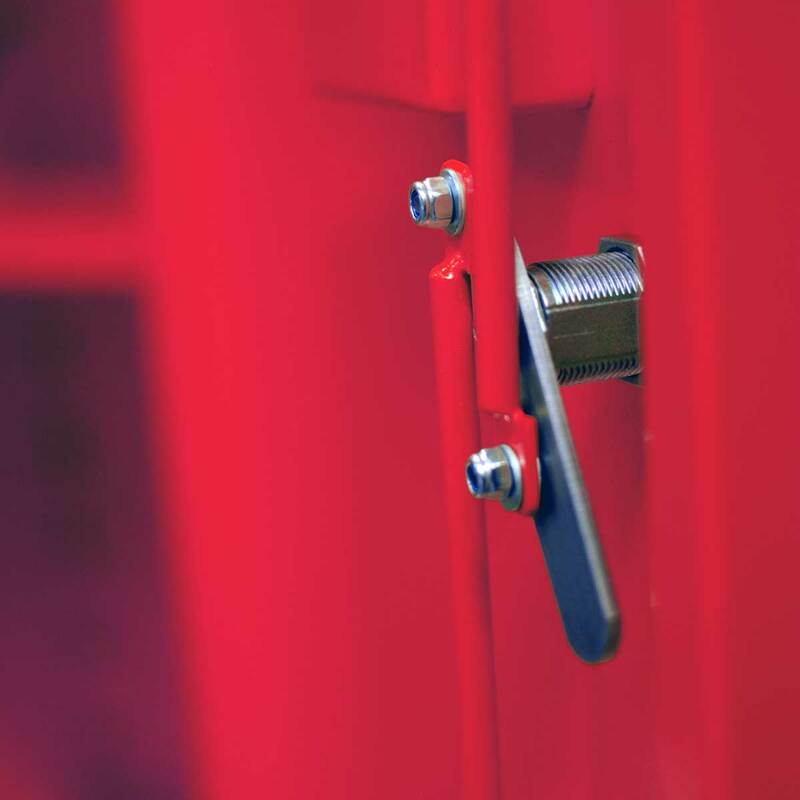 Internally, the fully welded sump and adjustable shelf combine to maximise this pesticide cabinets’ storage area whilst perforations in the cabinets door allows the required ventilation. The shelves are designed to channel any spillage of liquid down and into the sump of the cabinet where spills can be contained using absorbents.